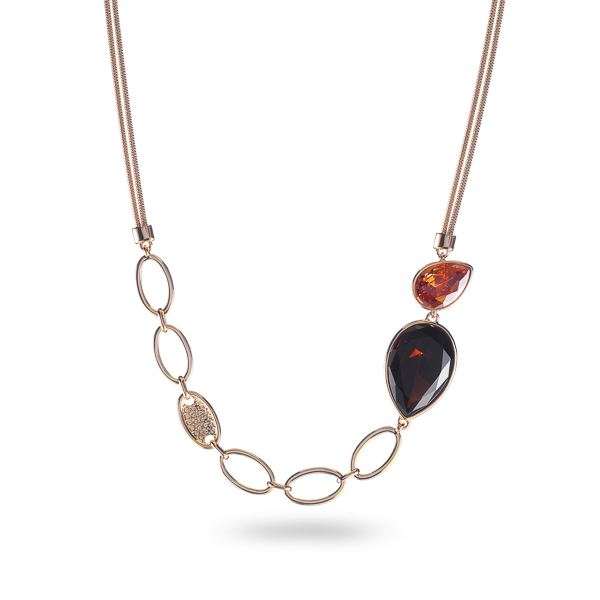 Description: Double chain 14k gold plated statement necklace featuring smoky topaz and light colorado topaz diamond cut glass stones with tear shape. While the focal point is on one side a subtle cluster of crystals invites the eyes back to the other side maintaining balance and beauty of the piece. Enter Quantity for N-AE001 to add to your shopping cart.